All Men of Genius is a debut novel by Lev AC Rosen. It’s a steampunk story set in England that draws inspiration from William Shakespeare’s Twelfth Night and Oscar Wilde’s The Importance of Being Earnest. Violet Adams is a mechanical genius of extraordinary talent. Unfortunately, she’s also not allowed into Illyria, the world’s best college for the sciences, which only admits men as students. When Violet’s father is away for a year to go to a series of conferences in America, she and her twin brother Ashton devise a scheme to get Violet into the academy of her dreams – Violet will pretend to be Ashton and at the end of the year she will reveal her gender, proving that women can be just as good as men at the sciences. After submitting her application, Violet-as-Ashton is invited to show her work to the faculty and is later accepted as one of five new students at Illyria. On her first day, Violet has to contend with mad scientist professors and the yearly prank played on all new students where they are taken into the school’s spooky basement and must find their way out – a basement that it seems is hiding some rather big secrets after further exploration throughout the year. While at school, Violet makes friends but also finds some of her relationships rather hindered by her gender pretense, particularly that with the Duke of Illyria and his ward Cecily. Cecily believes herself to be in love with sensitive “Ashton” and seeks to reform him when his sister Violet tries to convince her it’s really better not to get involved with him. Ernest, the Duke of Illyria, finds himself falling for Violet the more he gets to know this intelligent young woman but is confused by some encounters with her brother at the college. What Ernest’s father never revealed to him about his past history is the root of bigger concerns, though – and all their lives may be in danger as a result. 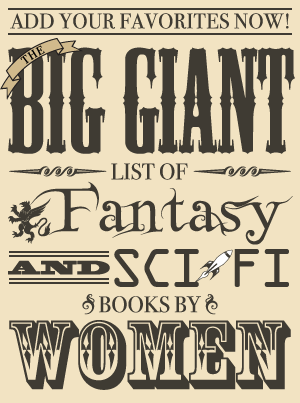 All Men of Genius is a great book and a very impressive and polished debut novel. It’s definitely one of the better books I’ve read this year with a fun storyline, strong writing, and well-written dialogue. (For examples of the writing and dialogue, I suggest checking out the excerpts linked to toward the end of this post which I think will give you a very good idea of if it will work for you as well.) It also manages to be entertaining and comedic while at the same time making statements about roles in society. Since seventeen-year-old Violet is masquerading as a boy of the same age with very few people realizing she is not in fact a young man, it does require some suspension of disbelief. Much like Twelfth Night, there are humorous situations as a result of this pretense, but I also enjoyed the fact that there were some reasonable explanations behind some of them. For instance, when the Duke of Illyria’s ward Cecily falls for “Ashton,” it’s not completely random. Cecily is a talented chemist who is often just seen as a pretty face by all the male scientists around her. Yet Ashton is different because he takes her work seriously and treats her as an equal. He doesn’t chase after her or look down on her for being a female in a man’s world. While these circumstances are mainly to provide humor, it also makes sense that Cecily would become fixated on someone like Ashton (at least if you can get past the fact that she’s also met Violet and never suspects they are the same person). In general, I really like what was done with the setting. It can be risky for an author to choose to write about a time period in which discrimination against certain people exists and is understood to be the way it was. Some people will be irritated if the facts of the time are changed, while others may not be want to read about it even if it is accurate for the time. In this particular case, the general attitude is true to the time period yet it’s also partially about instigating social change with the underlying message that all people are equal regardless of gender, race, or sexual preference. It doesn’t beat you over the head with a big message and manages to keep itself light and fun, though – it’s woven in but it’s shown more through the characters who are part of those minorities. That said, I did think social change was accepted rather too easily by many of the characters in the end, but then, that is keeping in tone with the rest of the book which doesn’t take itself too seriously. The only real downside for me was that there wasn’t a lot of character development, but that’s really just the way the book was – the characters were more a conduit for dialogue and action than evolving people. They were likable and had some fantastic exchanges, but it wasn’t about examining their personalities or why they did the things they did. That’s not to say I didn’t enjoy the characters because I did, especially Violet. I loved her determination and fierce intelligence and the way she didn’t let society’s standards get in the way of what she wanted. Watching her start for fall for Ernest was also wonderful, and I loved the way she seemed to accept her feminine side more the longer she was pretending to be a man. It did have the problem of being rather black and white, though. The villain tended to have only bad character traits, as well as one of the professors who didn’t seem to like the students very much. However, this was only a minor detraction when compared to the rest of the novel and the number of things it did very well. The ending is rather predictable, but this didn’t bother me at all since this wasn’t a book I was reading for plot twists. The strength was the story and the way it was written, and I think I actually would have been really disappointed if it didn’t end the way I expected it to. 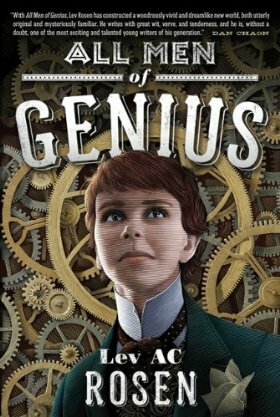 All Men of Genius is a delightful book, and I definitely recommend it to people who enjoy the same type of comedy as Twelfth Night or the girl pretending to be a boy storyline. It sets up some humorous situations that are just all the more fun for being in on the joke. It’s also well written with well-crafted dialogue and contains some mad science – what’s not to like? I will definitely be eagerly awaiting Lev AC Rosen’s next novel.